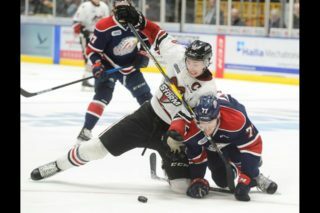 Following in the footsteps of Jakob Chychrun and Aaron Ekblad as a defenceman selected first overall in the OHL Priority Selection, Ryan Merkley knew big expectations were placed upon him, but the 16-year-old from Mississauga certainly met, perhaps even exceeded those in his rookie season. 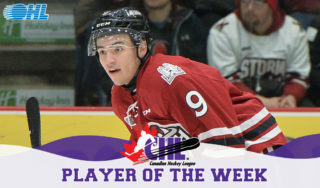 Merkley, who finished 12 goals, 43 assists and 55 points in 62 games on a young Guelph Storm blue line this season, surpassed the point totals of both Chychrun (16-17—33) and Ekblad (7-27—34) during their 16-year-old seasons in the league and finished just shy of Kevin Mitchell (10-46—56, 1997-98) for the most points by a rookie blueliner in franchise history. Merkley became the first defenceman to lead OHL rookies in scoring since London’s Rick Corriveau did so in 1987-88. The Western Conference’s last place Storm had their share of struggles this season, but Merkley grew through adversity. 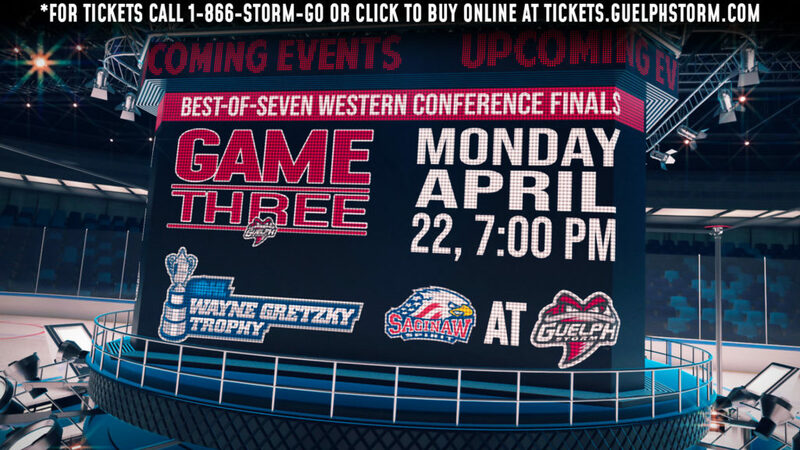 Storm GM Mike Kelly, who announced that he’ll be retiring at season’s end, has seen his career come full circle. Wrapping up his 20th season as an OHL general manager, Kelly, then with Guelph, selected Jeff O’Neill as the first overall pick of the 1992 OHL Priority Selection. 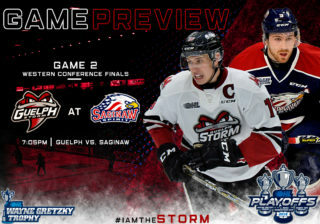 While the Storm took their lumps early, they reached an OHL Championship Series prior to O’Neill’s departure to the NHL and had continued success leading into their first ever OHL title in 1998. 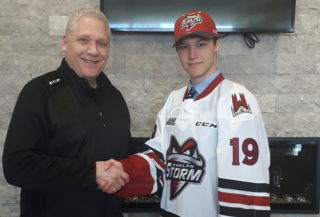 Kelly, who laid the groundwork for Guelph’s championship in 1998 and was GM of the 2014 OHL Champion Storm, says Merkley has surpassed expectations, but has also gone through the same challenging process of any 16-year-old in the OHL. The right-shot defenceman had 44 points (7-37—44) in his minor midget season with the GTHL’s Toronto Jr. Canadiens. 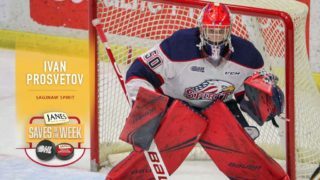 While some of the lopsided losses have been tough to swallow, Merkley finds hope in the future with the emerging core in Guelph. WATCH: 2016 first overall pick Ryan Merkley interviews on draft day.